Are you tempted to have a couple of servings of turkey on Thanksgiving? 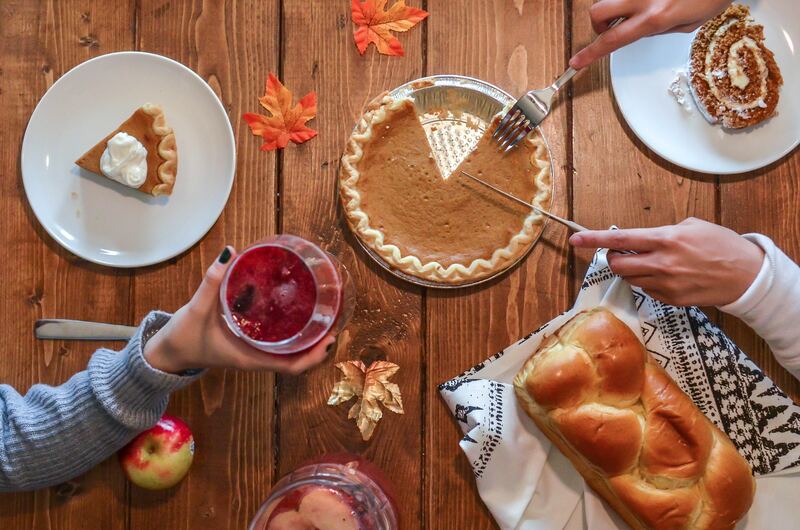 Are you ready to dig into all of the delicious sides and desserts? Are you paying attention to the nutrients you have on the plate? A lot of people suffer from serious health issues, and others have to maintain a normal cholesterol level to stay healthy. Unfortunately, most people do not pay attention to their health and nutrition during the Holiday season because they consider it as those ‘off days’ where it doesn’t really count. It still counts and we usually feel the effects after. If you want to make a change or if you are concerned about your health and want to make better choices this week and after, check out some simple tips you can use to manage your health and nutrition. The first and most important thing you need to do is avoid having too much salt or sugar because both are dangerous to your health. Extra salt in your turkey or other dishes can increase your blood pressure which will stimulate the body to release fats to maintain the pressure, which means cholesterol levels in the blood will increase. In the same way, you should try and avoid too much food that has extra sugar. Drink more water as a substitute to other beverages high in sugar. If you have to stay home alone on Thanksgiving, you might prefer to order food, get takeout or enjoy some fast food. You should know that fast food and takeout has an excessive amount of unhealthy fats, oils, and processed ingredients. Such foods do not have the nutrients that you need to stay healthy. Processed meals will also increase cholesterol in the blood. If you want to stay healthy, it is better to look for a healthy homemade food. If you are invited to a Thanksgiving dinner, and you have no idea about their Thanksgiving menu, it is better that you offer to bring something. It will give you the freedom to prepare a healthy and nutritious dish. In case your host has prepared some items which you cannot eat, you will still have the option to enjoy the dish you have prepared. It is important that you balance your plate on Thanksgiving with healthy nutrients. Your plate must have proteins, carbs, and healthy fats. Similarly, add a few vegetables to assure that you can have micronutrients as well. When you have a balanced diet, even on Thanksgiving, you will not have to worry about your health. Do not make the mistake of saving some extra space. People often do not eat the entire day so that they can have more during dinner. However, when the appetizers are served, they will be so hungry that it would be hard for them to wait for the main course. They will end up just filling their stomach with appetizers. Balance out your meals if you truly want to enjoy a healthy Thanksgiving.